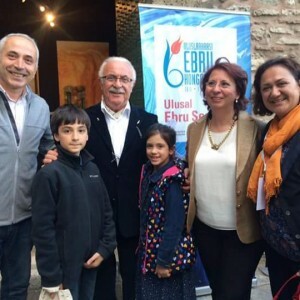 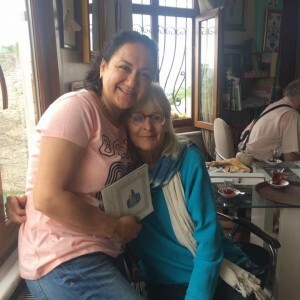 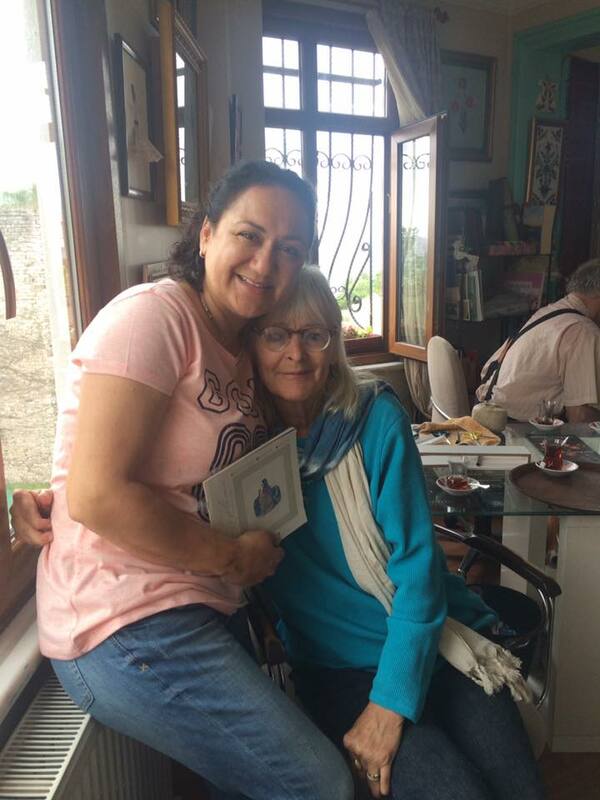 This week was a spectacular week for ebru..Hikmet Barutcugil organised who is teacher of ebru at Mimar Sinan Fine Art University.Ebru lovers from all over the world came to Istanbul. 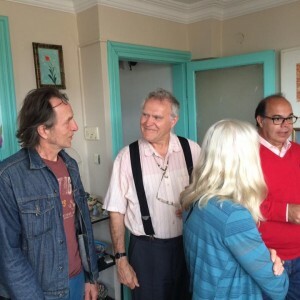 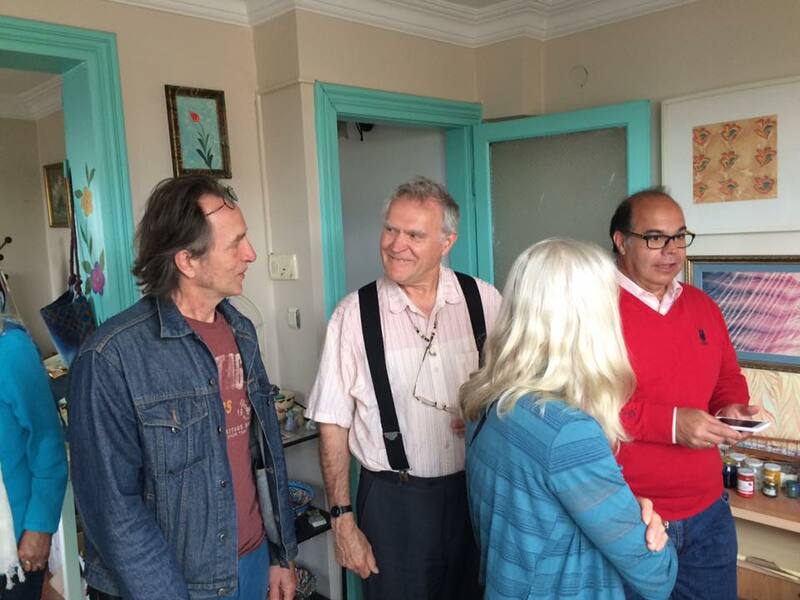 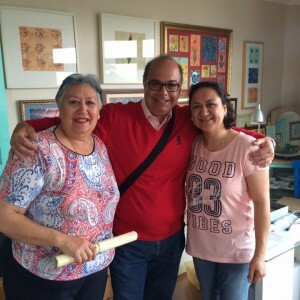 We met with them in many conference and exhibition.And they visited my studio .I hope keep going our ebru friendship. 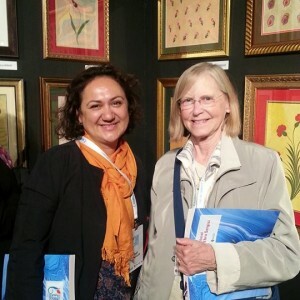 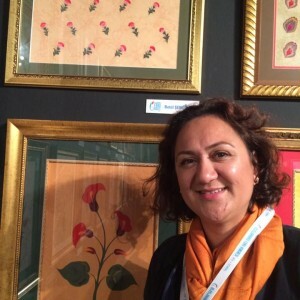 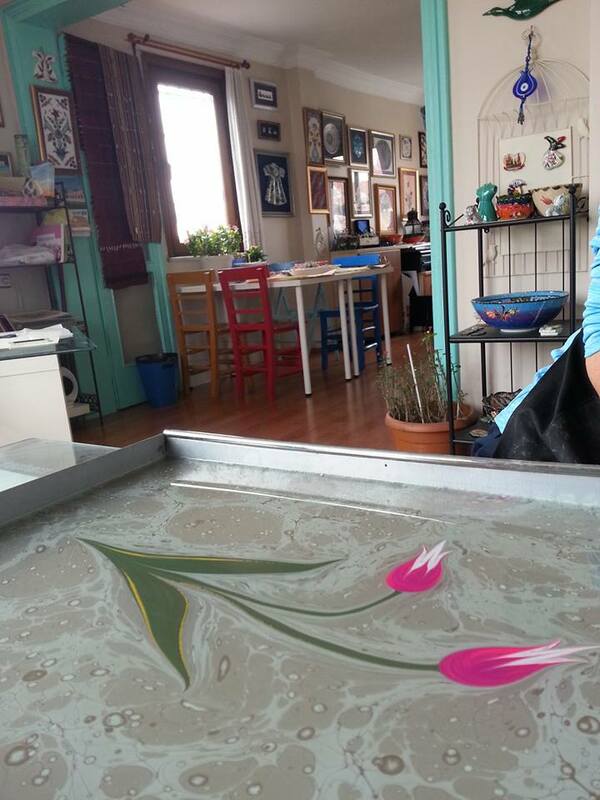 This entry was posted in Ebru Art (Marbling Paper), Photo Gallery and tagged activities in Istanbul, art, art of marbling, art organisation, ebru, international ebru congress, marbling paper, susan pogany. 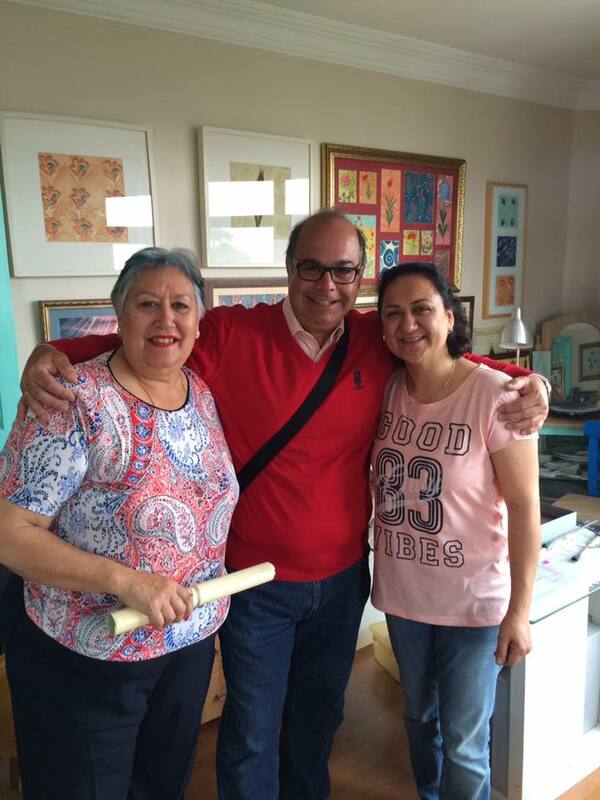 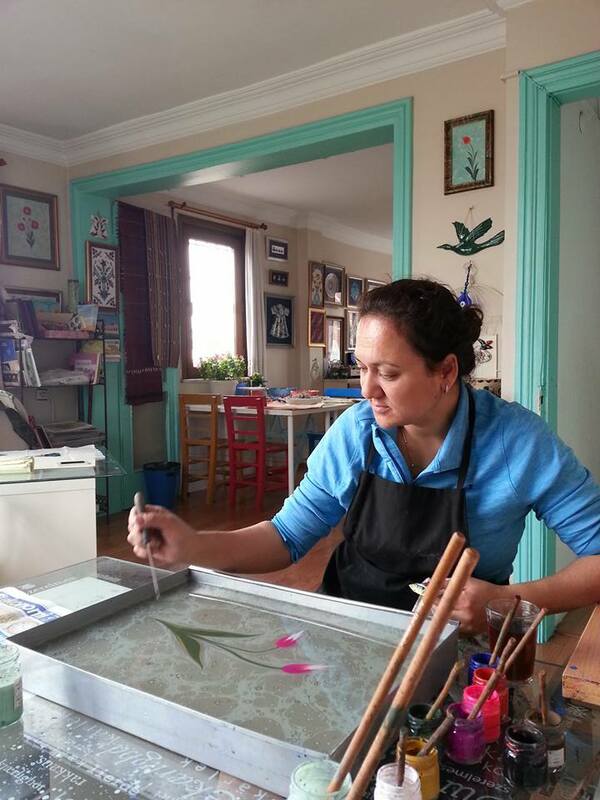 Beautiful three sisters from England.They live in Istanbul and love to do ebru. 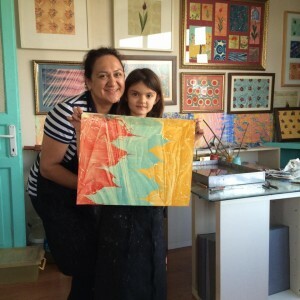 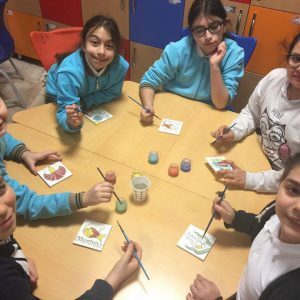 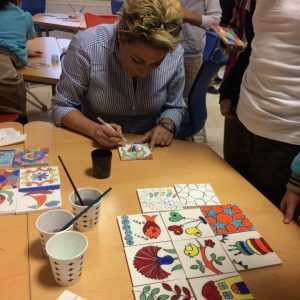 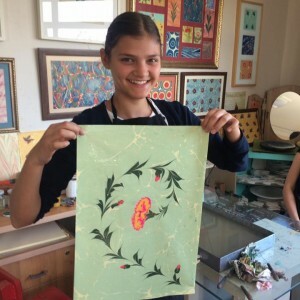 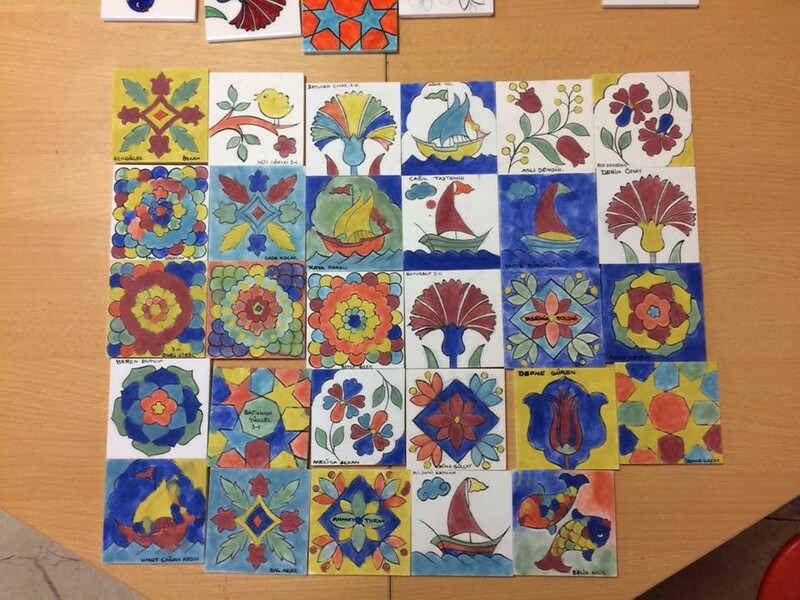 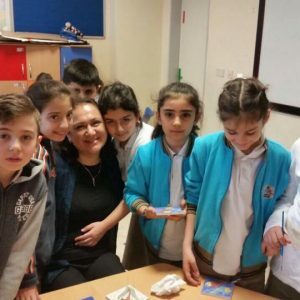 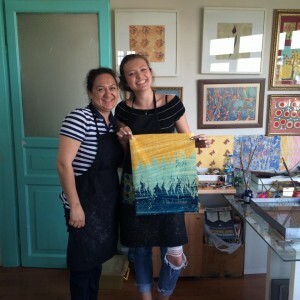 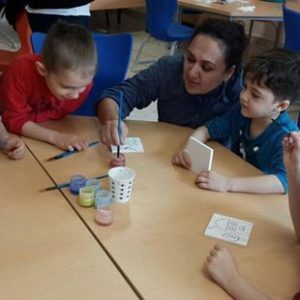 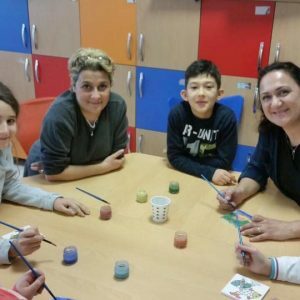 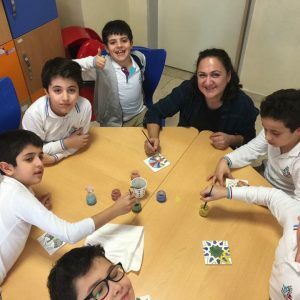 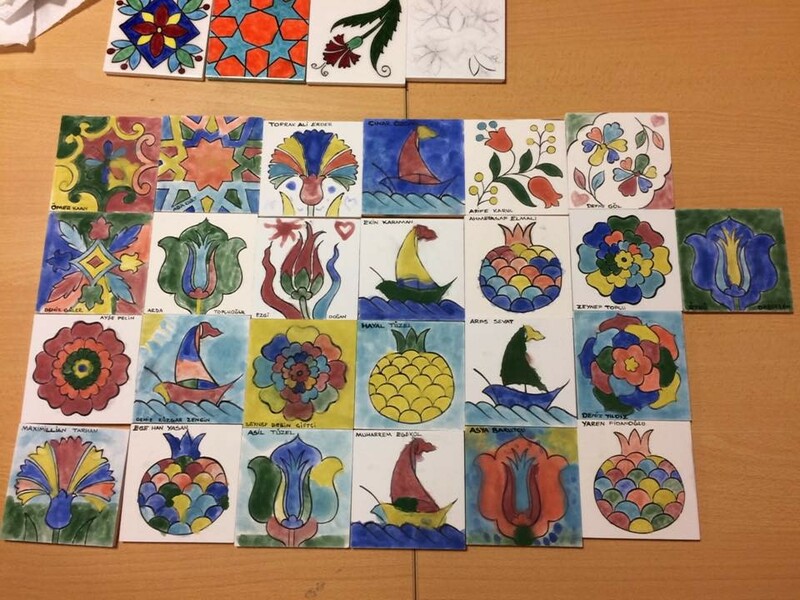 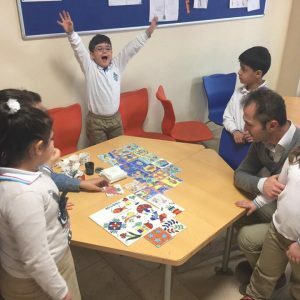 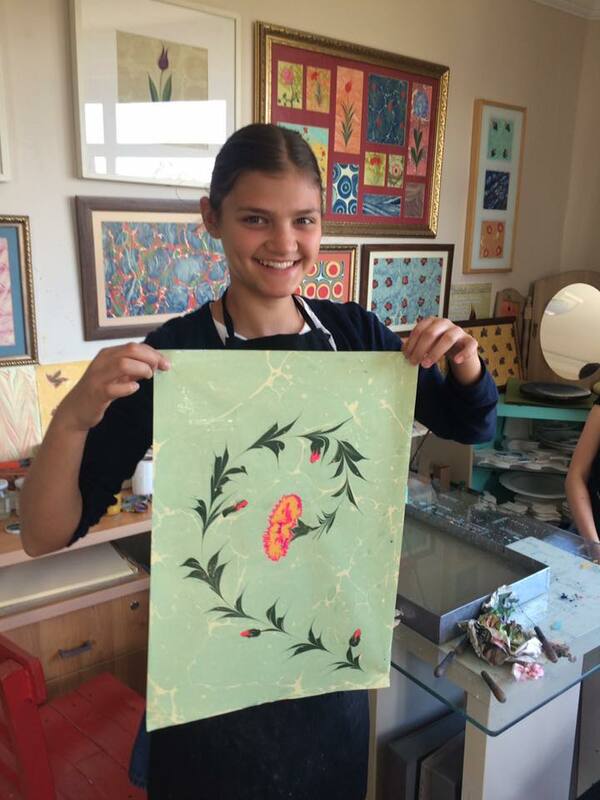 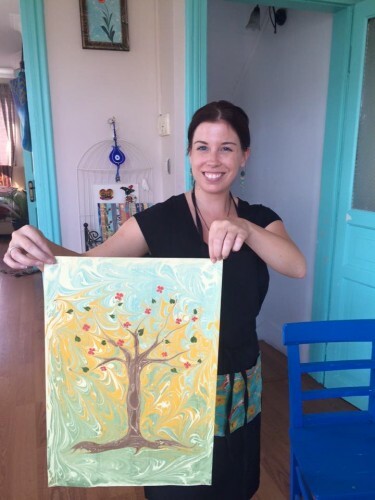 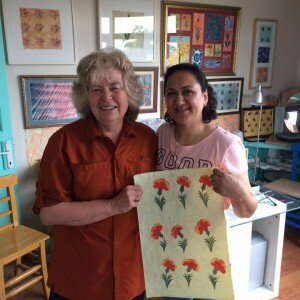 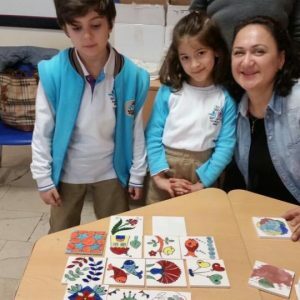 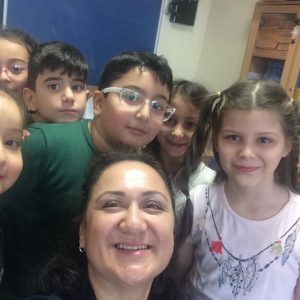 This entry was posted in Art Workshops, Ebru Art (Marbling Paper) and tagged activities in Istanbul, art, ebru, marbling papre, sultanahmet, turkish art workshops in Istanbul. 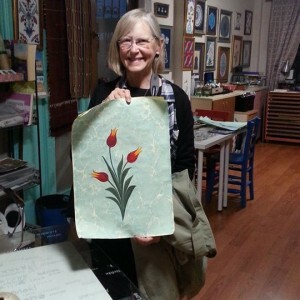 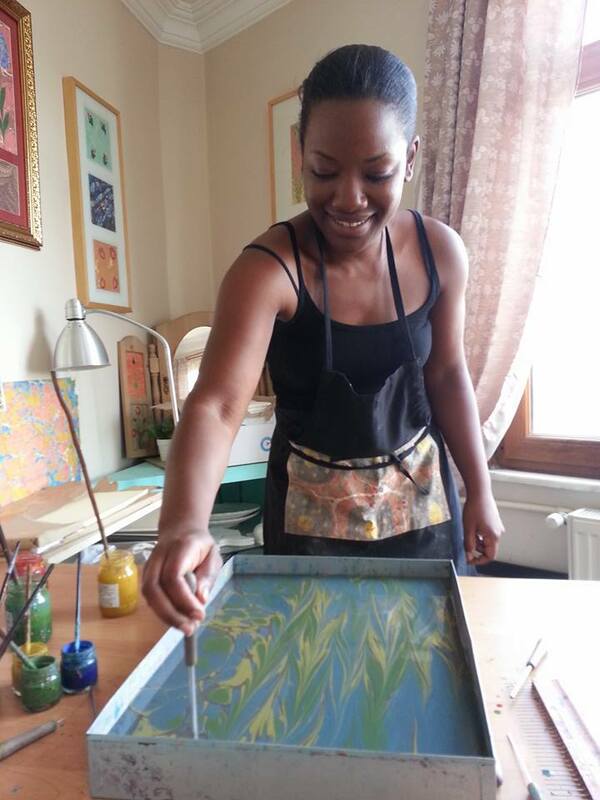 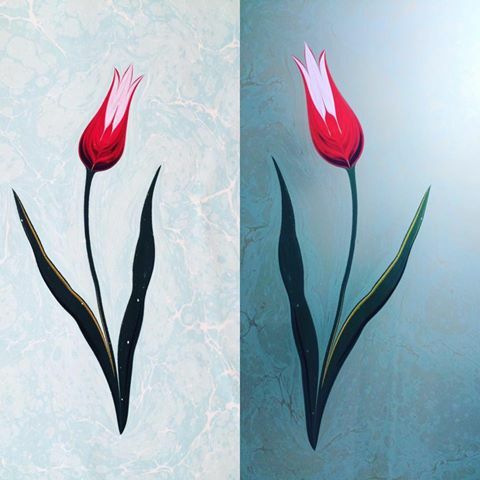 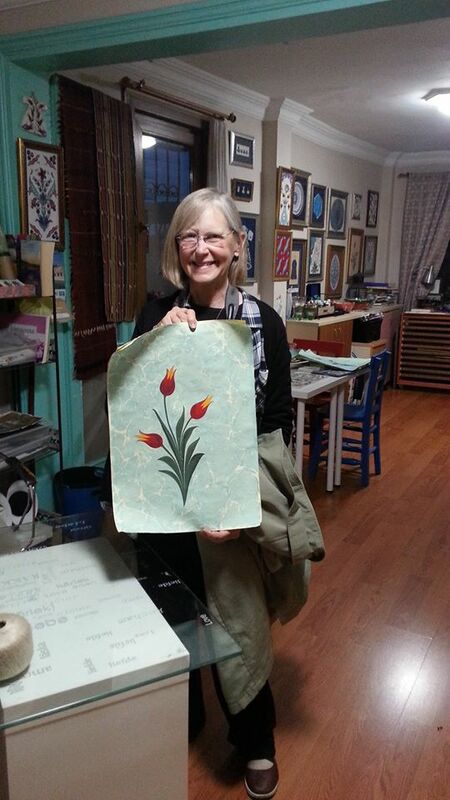 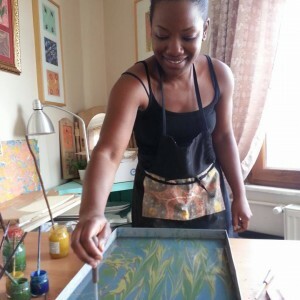 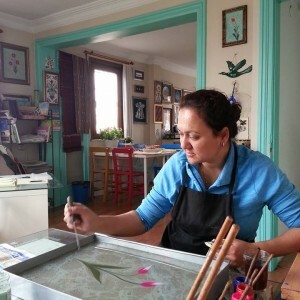 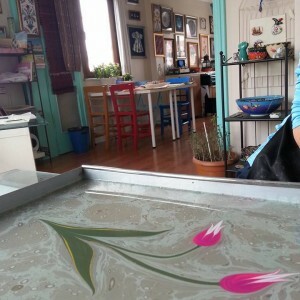 Season of Tulip in Istanbul and Ebru Workshops keep going .! 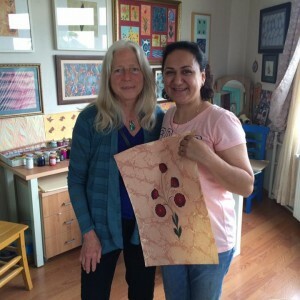 This entry was posted in Ebru Art (Marbling Paper), Photo Gallery and tagged art workshops in Sultanahmet, ebru, Ebru Art (Marbling Paper) Lessons, tulip, turkish arts, water marbling. 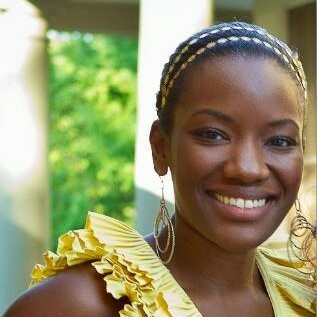 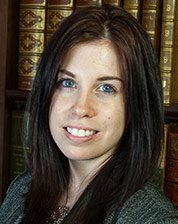 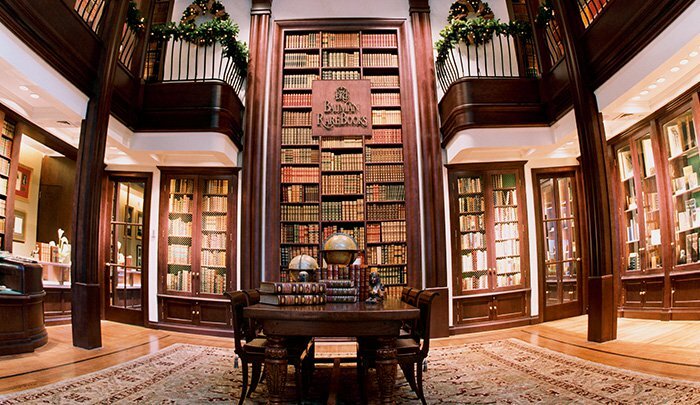 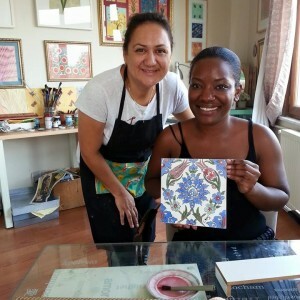 Elle Decor – Housebeautiful and Veranda magazines Editor Carisha Swanson from New York has been with us today. 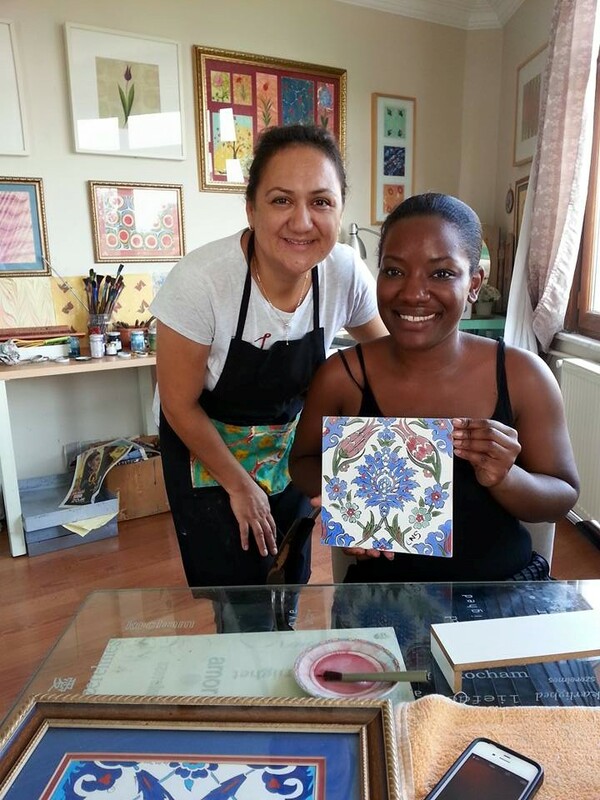 Elle Decor – Housebeautiful and Veranda magazines Editor Carisha Swanson from New York has been with us today. 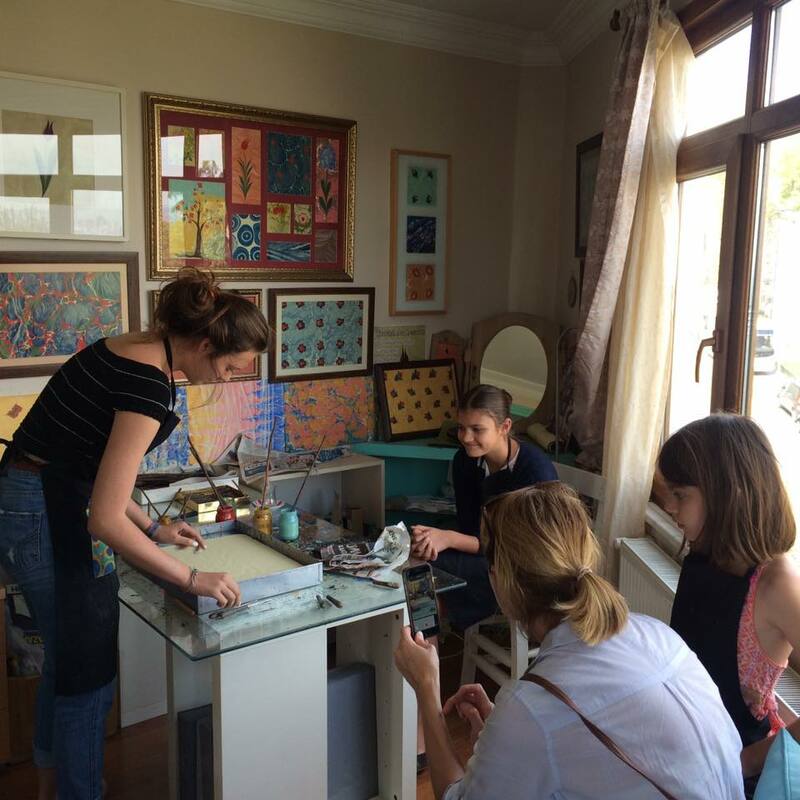 We made wonderful Workshops Marbling & Tile painting in our Gallery this afternoon. 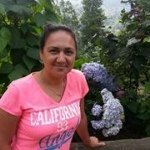 Thank you Carisha being with us. 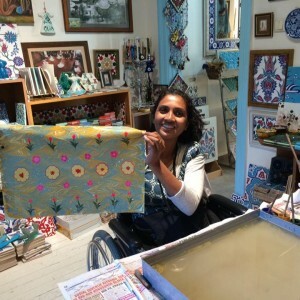 I am a market editor at the Hearst Design Group:Veranda,House Beautiful and ELLE Decor.At any given point I’m searching for my next solo travel adventure,eating a perfectly seared ribeye accompained by a nice pour of bourbon or searching for my dream fixer-upper.My personal design style:feminen touches mixed with lots of pattern, color and art on every surface. 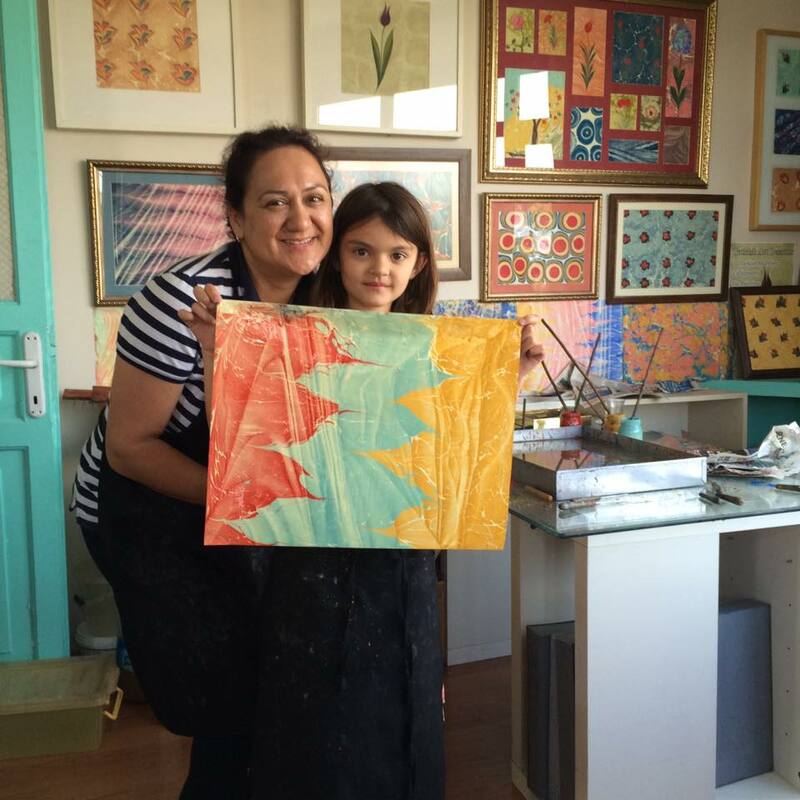 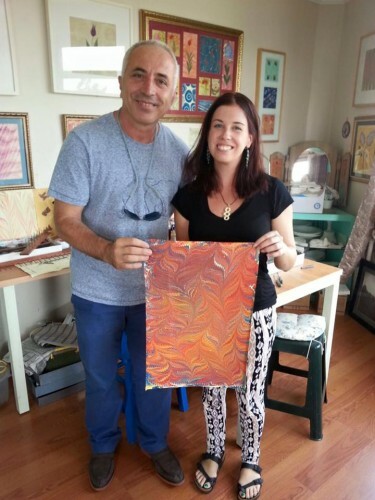 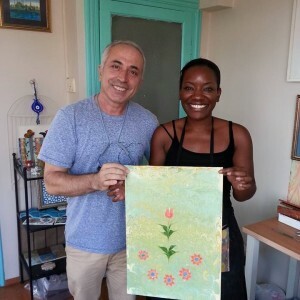 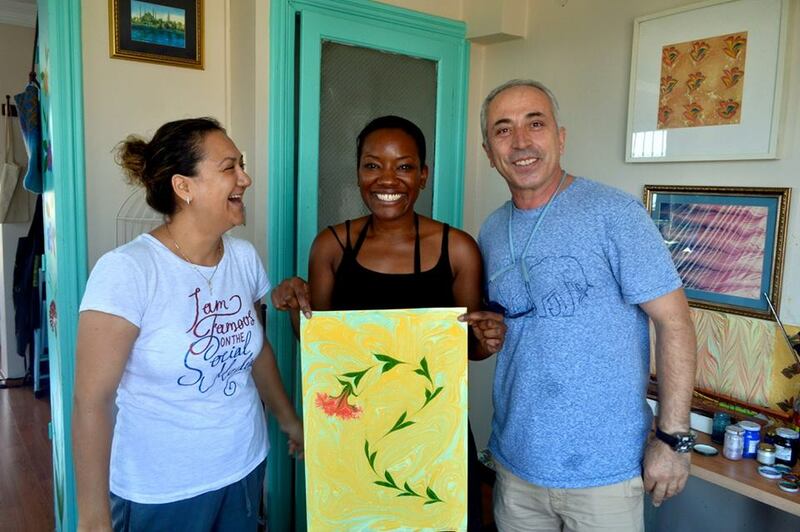 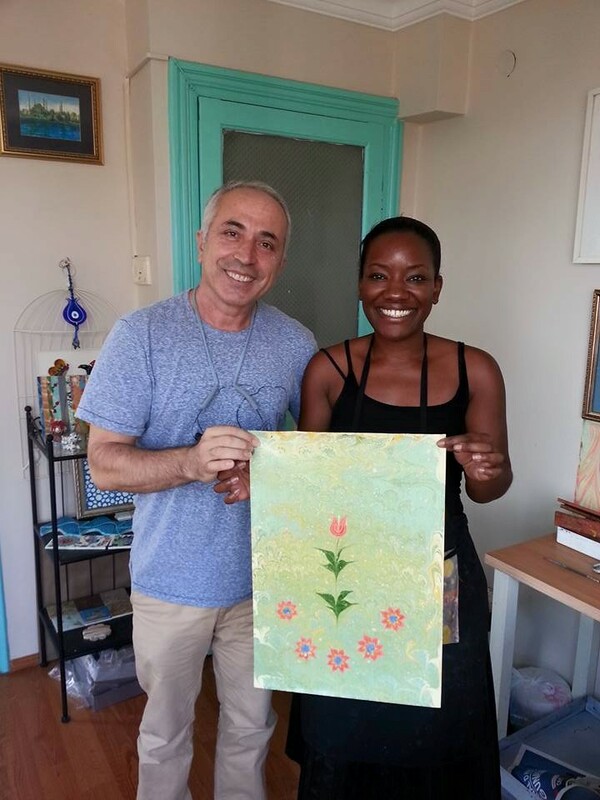 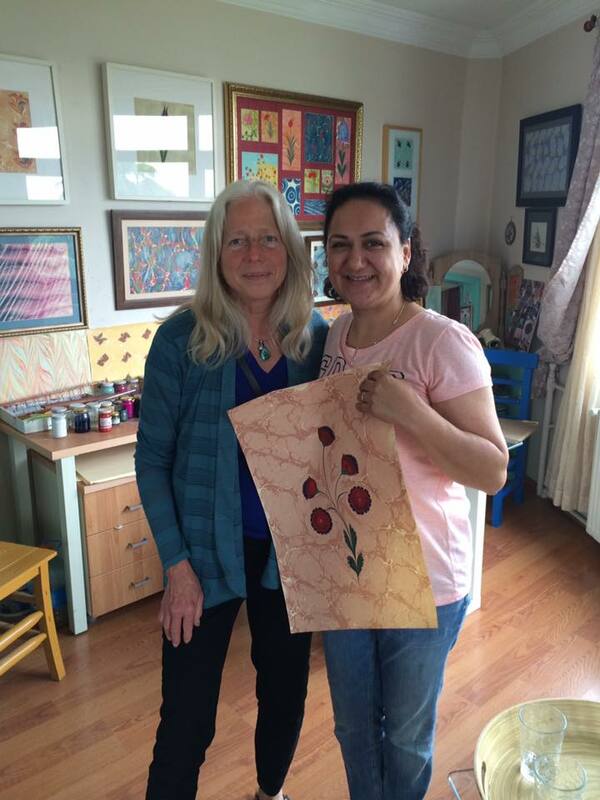 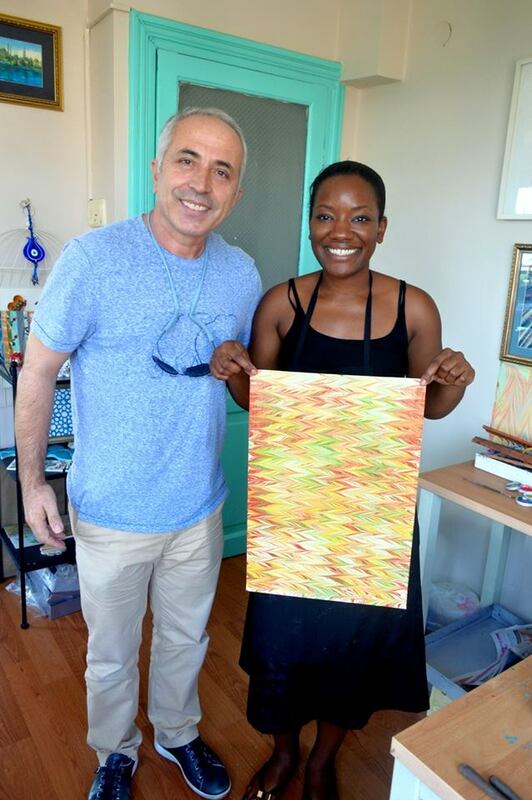 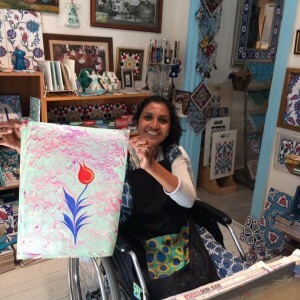 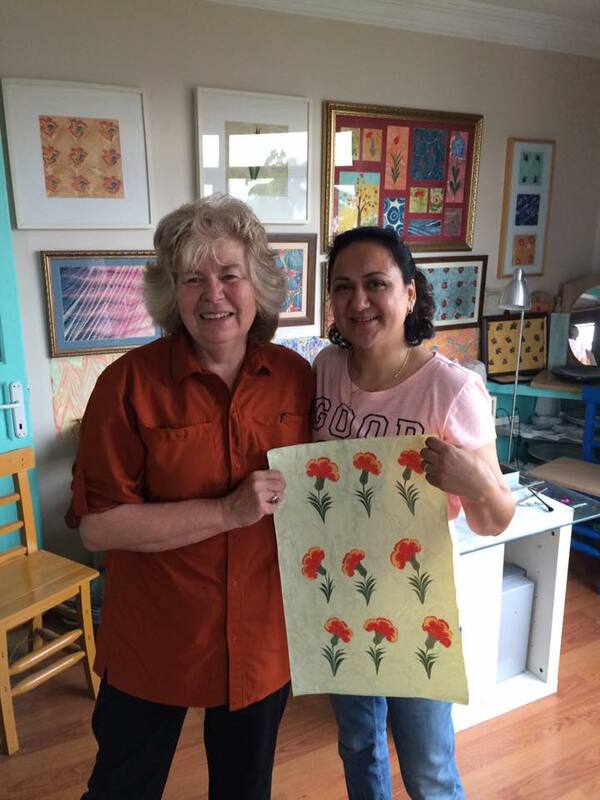 This entry was posted in Ebru Art (Marbling Paper), Turkish Tile Painting and tagged art classes in Istanbul, art lesson in Istanbul, ebru, editor, elle decor, marbling art class, new york, tile painting class, traditional art, turkish art, water marbling paper.